Tour to the Sacred Valley of the Incas! To the northeast of the city of Cusco is the Valley of the river Urubamba, better known as “The Sacred Valley of the Incas; This is home to many colonial towns of particular beauty, in which you can find many remains of what was the Empire of the Incas, spread throughout the valley, plains and steep mountain slopes. 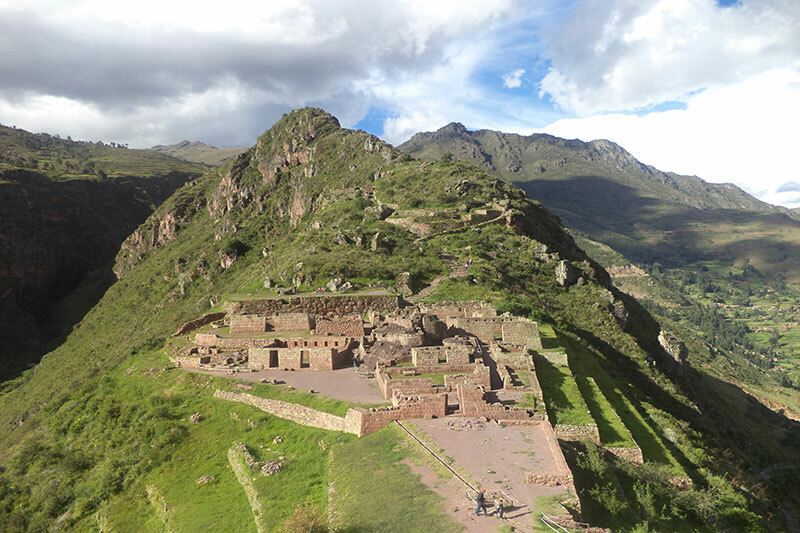 The magnificent Inca ruins that you can find from Pisac to Ollantaytambo, make this valley one of the best places to visit not only in Peru but also in the American continent. The Incas built the largest known empire in the Western Hemisphere, encompassing the territory of five nations of South America, being the most important places of the Empire, Cusco, Machu Picchu and the Valley between these two cities. 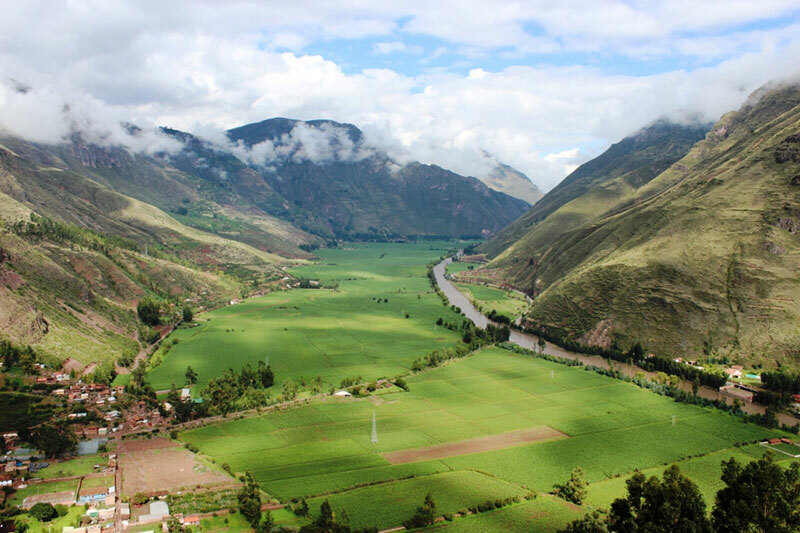 The Urubamba River Valley (Willcamayu for the Incas) was a major element in the religious cosmology of the Incas. They believed that the flow of the Urubamba, was closely linked to the constellations and mountains, also believed that it was the counterpart of the Milky Way on earth. With the river feeding the valley, its fertile lands were during the time of the Incas, one of the most important centers of production and agricultural study of the empire. The Incas grew white corn, potatoes, coca, fruits and vegetables, in most cases in terraces specially designed for this purpose. At present, the valley continues to produce lucuma, peach, avocado, and one of the best corn grains in the world. The Urubamba River Valley or Sacred Valley of the Incas, located 15 km north of the city of Cusco, is reached by a paved road in a car trip that will take you about 40 minutes. The Sacred Valley of the Incas is located at 2800 msnm, 600 meters below Cusco, and enjoys one of the best climates of this region, temperatures during the day vary between 19 and 24 Cº. This privileged climate made the Incas take it as their main center of production and experimentation and agricultural research. 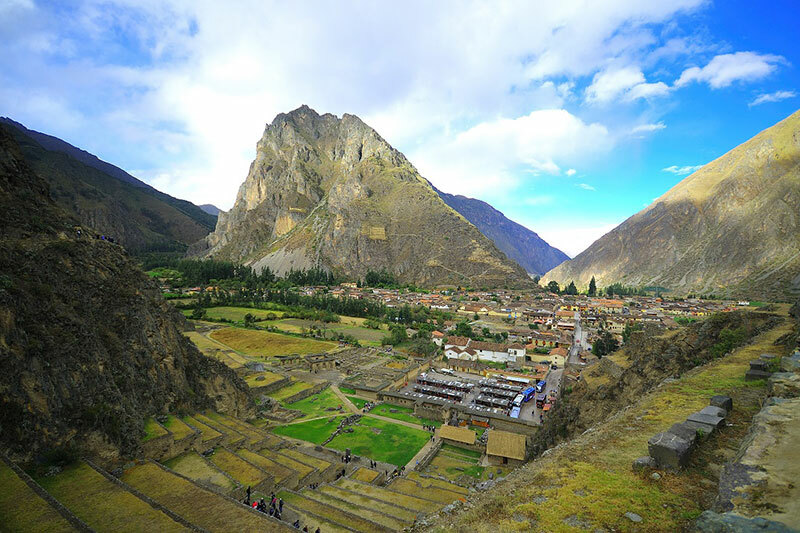 The sacred valley of the Incas is one of the best places in Cusco to acclimatise; The warm climate of this area will make it gradually acclimated. Especially if you plan to travel the Inca Trail or make the trek through the Salkantay. Known by the Incas as Vilcamayo, the beautiful Sacred Valley of the Incas extends from Pisac to Ollantaytambo, along the Urubamba River. These cities are presented as checkpoints, before entering the Inca Trail that leads to the sacred city of the Incas, Machu Picchu. The town of Pisac is located 33 kilometers from the imperial city of Cusco, and represents the gateway to the sacred valley. This village is famous for its artisan markets, Sunday masses and impressive archeological sites, located on a mountain, very close to the village. This town acted as regional capital of the area, very important for its excellent location and fertile land. 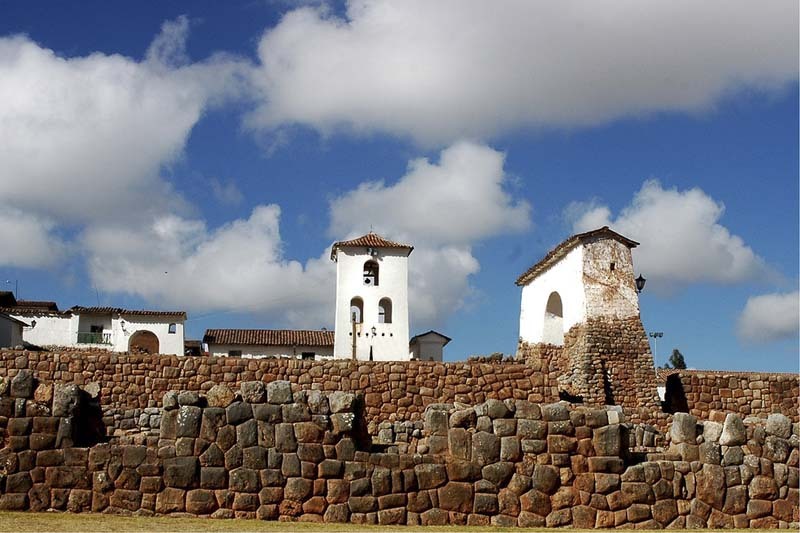 The Inca and Colonial buildings that are exhibited in its territory are admirable because of their high quality and the platforms that surround the mountains and polished stone structures perfectly assembled. In the village of Pisac you will also find a beautiful craft market that we are sure you will not forget, here you will find many gifts and souvenirs. Urubamba is one of the most important cities of the Valley in the current, is a city that was born during the colony and is considered the world capital of the maize. This is possible thanks to the fact that the valley is watered by numerous rivers that are born in the peaks of glacier mountains; All this territory was much appreciated by the ancient Incas because of the fertility of their lands and the wonderful qualities for cultivation. Ollantaytambo, also known as Ollanta, is located to 97 km to the northwest of the city of Cusco; Approximately 2 hours and 30 minutes by car. It was during the time of the Incas a fortified city, with temples, urban, agricultural sectors and walls of defense. It is known that the Inca city of Ollantaytambo, served as an administrative checkpoint. After the Spanish invasion, it became one of the favorite places of the Viceroys. It is considered one of the most important places in Cusco; Besides many people consider that after Machu Picchu, the town and the ruins of Ollantaytambo contain the most impressive Inca stone work of Peru. Going past Ollantaytambo the route becomes very tortuous and difficult to follow. The valley closes with the train tracks and the Urubamba River, even under the same Machu Picchu. Poblado de Chinchero is 28 km from the city of Cusco at 3.772 masl, has important archaeological sites, also has a colonial church with beautiful paintings of the Cuzco School. On Sundays a typical market operates where barter can still be carried out. To the northeast of the city of Maras you will find the “Salt Mines”, you can see more than 3000 wells with a size of no less than 5 m², built using the incline of the mountain Qaqawiñay, and that in the distance give the impression of being Wells full of snow. In drought seasons, these wells are filled every 3 days with the salt water that emanates from a natural source located on the wells, so that when evaporated, the salt contained in it is gradually solidified. This process continues for approximately 30 days, until a considerable amount of solid salt, approximately 10 centimeters high, is obtained from the bottom. The town of Moray is located 74 km from the city of Cusco, and houses another of the impressive structures of the Inca civilization. It is a series of circular concentric platforms that give the feeling of being an artificial crater. 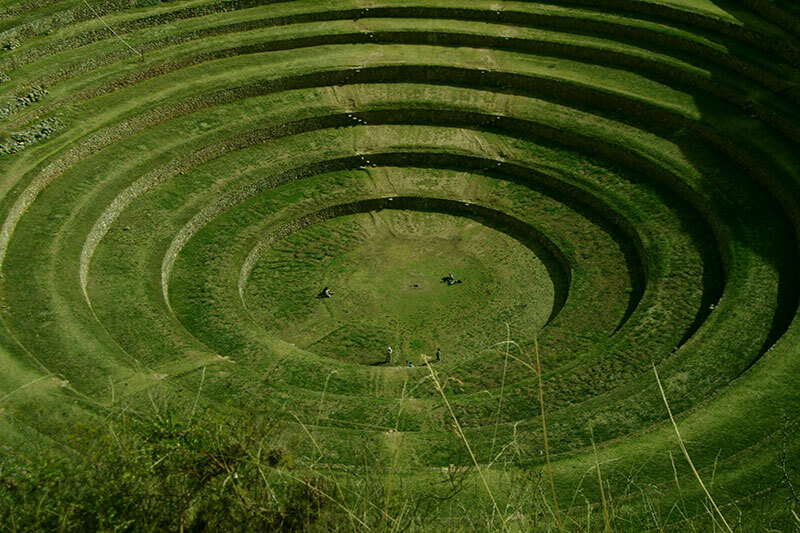 This place was one of the main Agricultural Research Centers of the Inca Empire. Dedicated to the sowing of crops from areas other than the Valley, with different climates and altitudinal floors, with the intention of making possible the planting of products of the coast and Selva in colder climates and at greater heights. 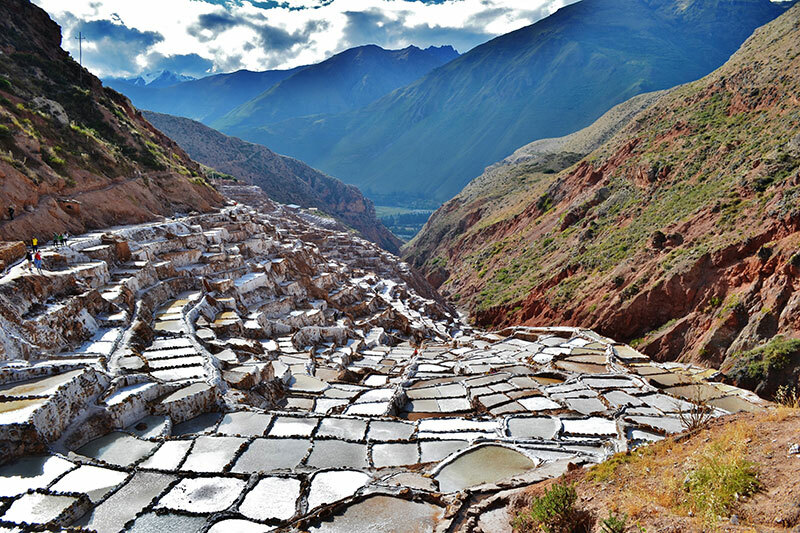 The platforms are arranged in such a way that each of the terraces produces a very particular microclimate, this city also offers you the possibility of touring it, mounted on Peruvian paso horses. The town of Yucay is located 68 km from the city of Cusco, in the middle of the Valley. This town houses the Inca Palace Manco Sayri Túpac Segundo, and was during the time of the Incas, a great center of agricultural production. The Sacred Valley of the Incas is also one of the best places to practice outdoor and extreme sports, you can do cycling, hiking, climbing, paragliding, rafting and so on. If you are one of the people who enjoy adventure, the outdoors and extreme sports, you can not miss the opportunity to enjoy the Sacred Valley of the Incas. The tour of the sacred valley will take you along a markedly traditional route; you will meet Quechua-speaking residents, in typical costumes, working their fields in a traditional way; Pass through villages, built in colonial times, on ancient Inca settlements, in a valley that was sacred to the Incas. Tour the markets, temples and plazas of the cities of the Sacred Valley, take it a few hundred years ago.